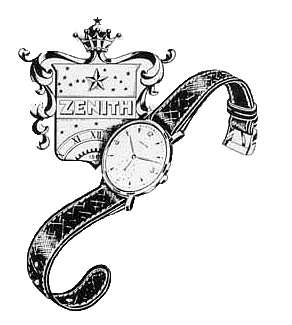 When it comes to repair or restoration of your vintage ZENITH you only want the best for your watch. Don’t search any further. We specialize in ZENITH for over a decade. From a simple movement service to a complete restoration, our experienced watchmakers will handle your watch with the greatest care. Veldeszenith Watches is lucky to have a large amount of original ZENITH parts in stock. In most cases these parts are out of production and can not be obtained through ZENITH Switzerland. Given the above we do not sell any loose parts. Furthermore, in some cases we will give you a negative advice on a dial refinishing because of the loss of authenticy of the watch. You can send your watch to our workshop in the Netherlands. When the watch arrives, we will do an examination and make you a quotation. The work proceeds after you have accepted our quote. If you have any questions about this process, please let us know.